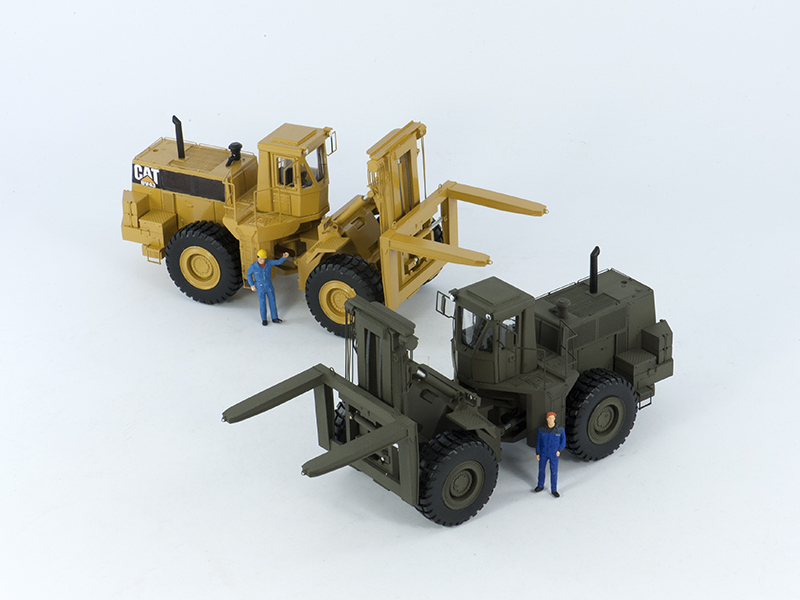 The Caterpillar 988B RTCH in 1:50th scale is released by CypModels in 2016. The Caterpillar 988B RTCH Rough Terrain Container Handler is handmade from resin using different photo etched parts likes the mirrors and grabs and railing, professional airbrush paint and are as detailed as possible in accordance with the scale used. This Caterpillar 988B RTCH Rough Terrain Container Handler knock out model will be available in very limited numbers in Army Green as well as the civil version Cat DV43 the way he in 1: 1 is converted by the American company Powermax. More information or ordering this unique scale model check out CypModels, a small Romanian company which produces limited series models of rare and special civilian- and military vehicles.